Do not let this prevent you from a visit, off-peak travel is highly recommended here (skip the high traffic summer season and certain times in the spring). I started going to Sedona and Oak Creek Canyon years before L’Auberge was built in 1983, but this was my first stay at the luxurious 4 star resort. We stayed in one of the Garden Cottages just a few feet from the Creek side Cottages and, of course, the creek. Dogs are allowed, for a small nightly fee, in the Garden Cottages and all around the property. 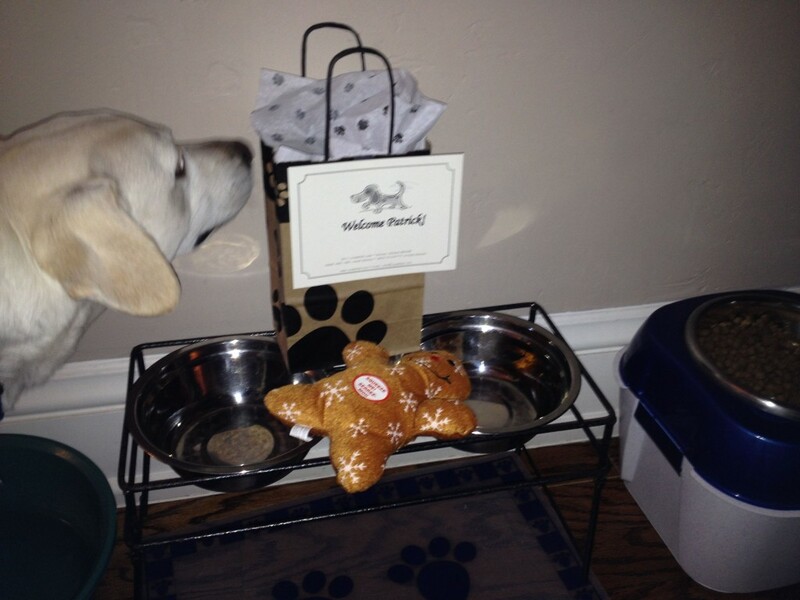 Upon arrival, we were greeted by a customized treat bag waiting for us in the room. L’Auberge is one of the most dog friendly places that I have ever visited! My recent trip to Manhattan helped to prepare me for the price tag of my stay at L’Auberge in Sedona, Arizona. This is not a low-cost get-a-way, so be ready to spend a bit of cash. Even the dump hotels in Sedona are overpriced, so if you are planning to stay in Sedona, spend a tad more and stay at L’Auberge or one of the other luxury resort/hotels. The main attraction for me was peace and quiet. 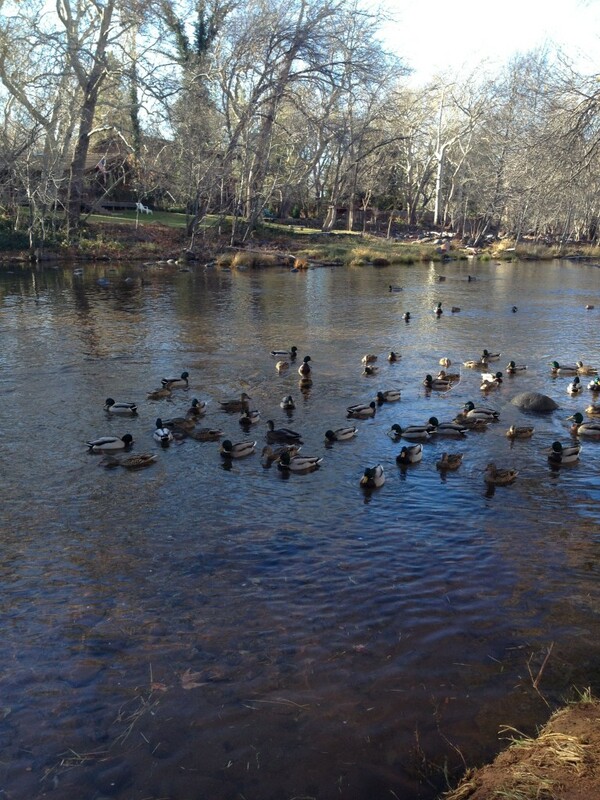 My dog and I walked down by the creek every morning, and sat and watched the ducks play. Each morning there are assorted pastries and coffee for breakfast in the lobby bar, with a view. There are areas around the resort for short walks, and great hiking nearby. It is a short, steep walk up to the 89A highway for shopping, dining, wine tasting, and organized tours. The resort also offers included shuttle service, which is a life saver in the dark! 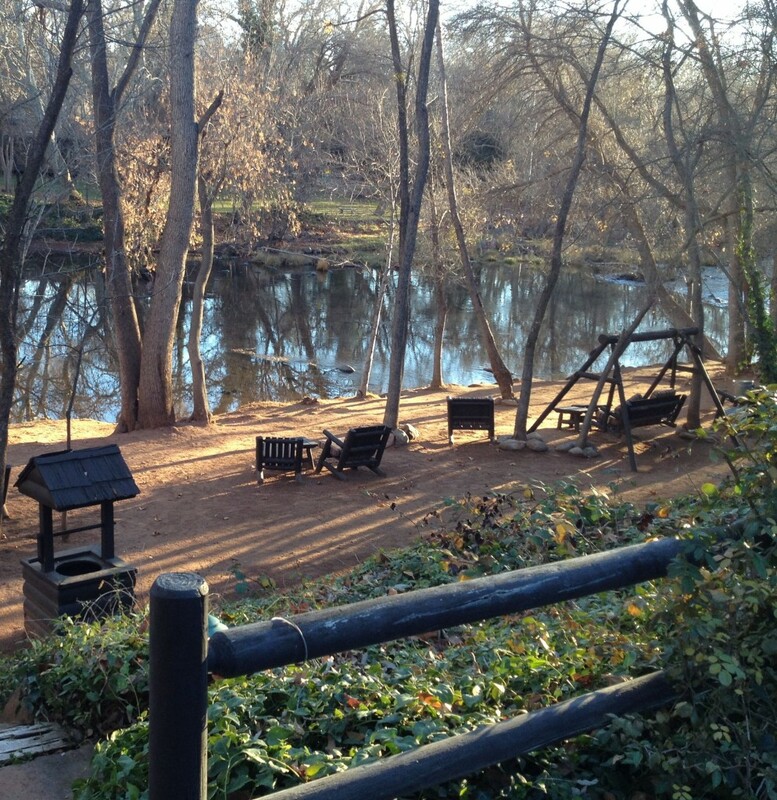 My favorite meals on-site at the resort were on the creek side patio. Offering a great wine selection and delicious menu with a spectacular view. L’Auberge has a good restaurant on-site, be sure to make reservations ahead of time. For the value, I prefer the restaurants off-site from the resort. 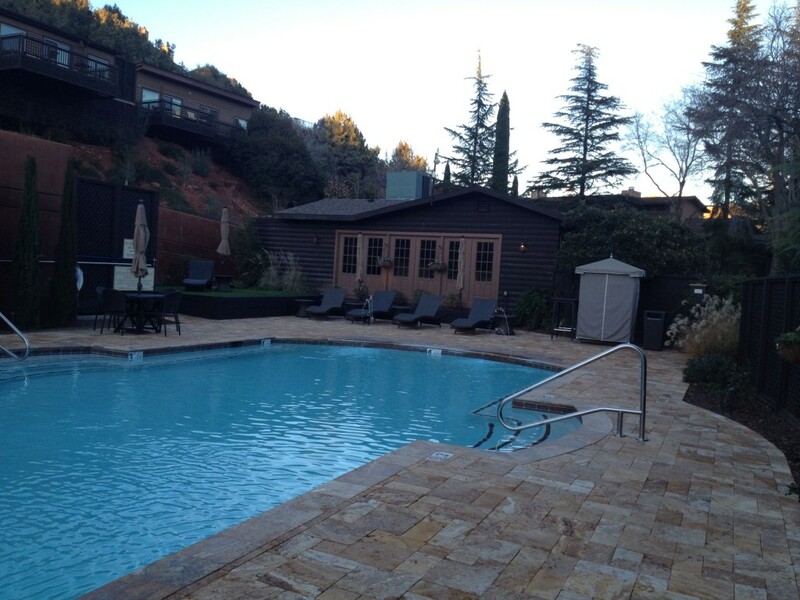 There is a heated salt water pool and large hot tub in a secluded area next to the day spa. All along the creek there are quiet spots to kick up your feet and relax. 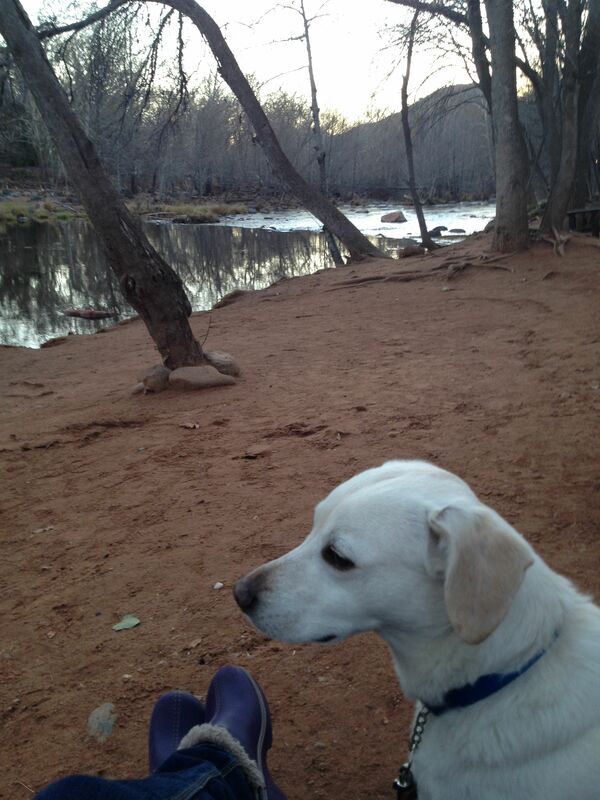 Overall L’Auberge is a nice relaxing vacation, especially with the dog. 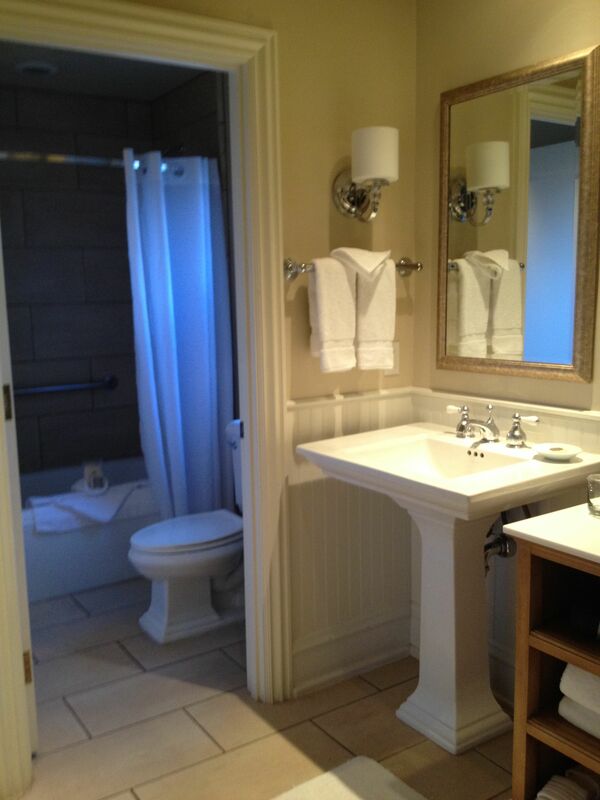 It is the best luxury resort in Sedona and Northern Arizona. Looks and sound like a beautiful and relaxing retreat, I’m in the USA next year might have to make a stop in Arizona. I had never heard of this place before. It looks so beautiful though! 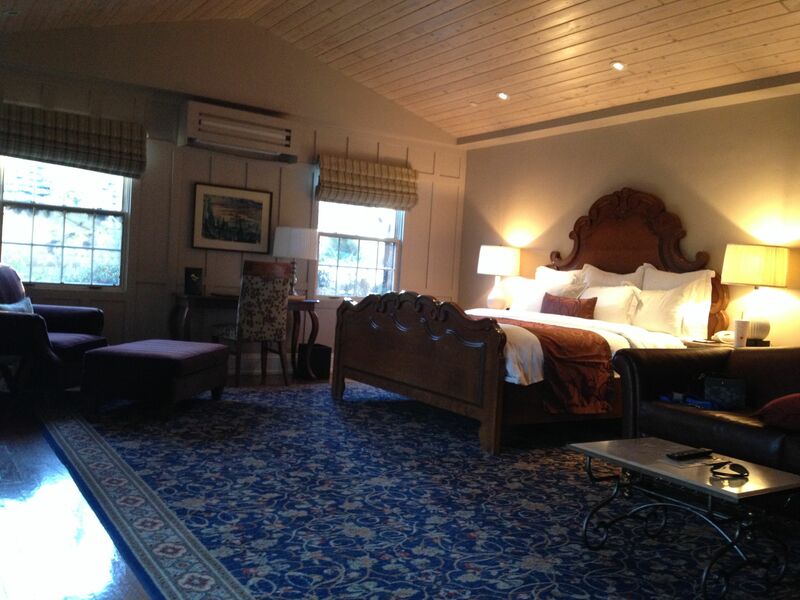 I especially want to stay in that beautiful room! The creek side patio looks fab! I totally get why it was your favourite place for a meal! I would love to grab a sunset dinner and a glass of wine with that view. Beaut!